Since incorporating in 1991, Galamast has grown in the UK to employ circa 200 operatives with the company reputation built upon its core of Civil Engineering expertise. Through our long standing relationship with McDonald's Restaurants, Galamast have since diversified into shop-fitting and have been responsible for refurbishing a large proportion of the McDonald's estate in the last three years. Through these two core business areas of Civil Engineering and shop-fitting, Galamast is well positioned to continue excelling in an ever changing construction environment. 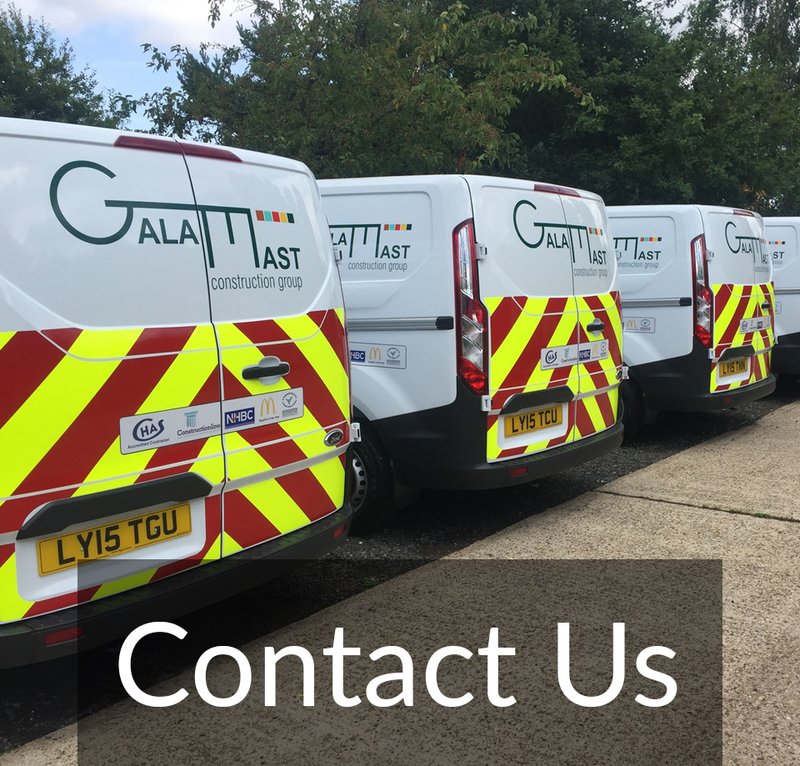 Galamast can add value to any project through its own technical expertise and vast pool of specialist sub contractors who have been tried and tested by us on past projects. Galamast takes great pride in its core workforce with the average operative having worked for Galamast for 10 years. We are therefore CHAS registered and are committed to improving the quality and knowledge of our staff through continuous personal development. In comparison to some of our national competitors, Galamast offer a personal 'hands on approach' whereby you only deal with decision makers operating at the highest company level. Having an active high level management team, we are able to react to any situation on an immediate basis thereby giving our client's an exceptional individual service. Despite this, we still operate with large contract values varying from £150k to £10m. Attention to detail and quality of site management are other key features of our service and we ensure that all sites run in the correct fashion and adhere to up-to-date H&S policy guidelines and methods of working. With a full time H&S team we continually spot check sites to ensure H&S compliance from our direct and indirect employees.